I been thinking this year it has been tad quiet on the CPF front. We haven’t heard much from them yet. 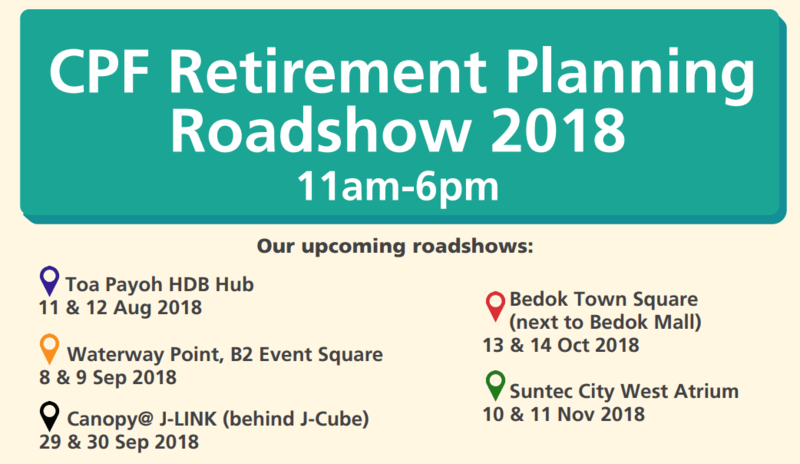 And lo and behold, they updated me on the latest schedule for their CPF road show. Attached above is the schedule, beginning with the first one this weekend at Toa Payoh HDB Hub. I tend to think that the road shows attract 2 kinds of crowd, those that love freebies but also those family that happens to be there and are looking for something fun. I think it certainly does not suit me (even though the pouch I got last year was pretty useful). 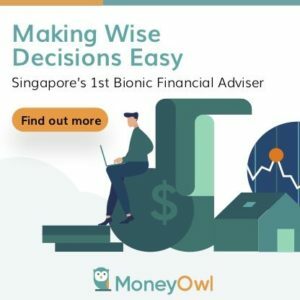 But it does bring up a good conversation to your family, if you are the financially savvy sort but have a problem bridging this topic to your family. 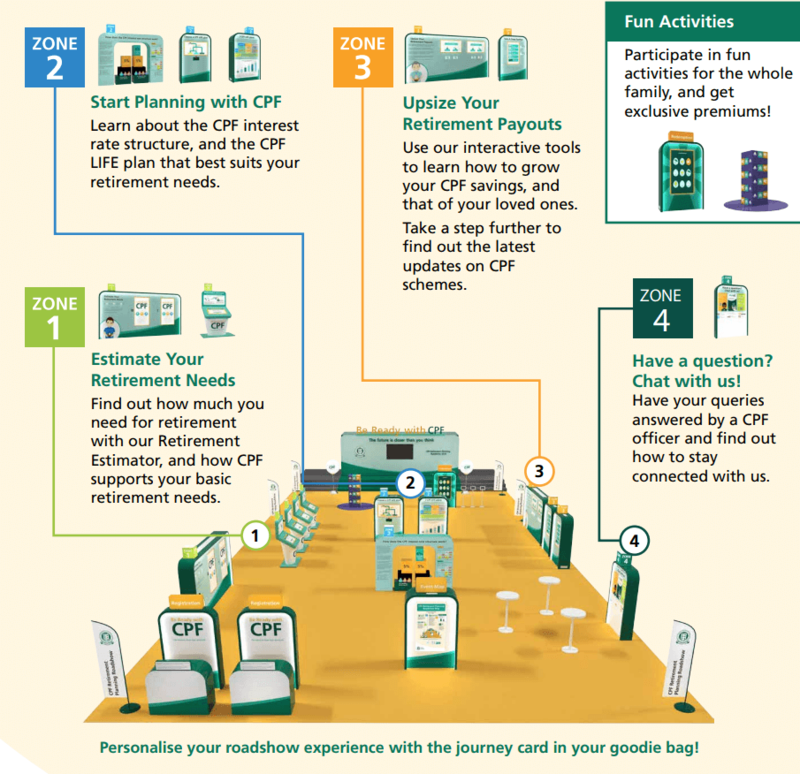 Explanation on the difference between the various CPF Life plans. To a lot, the 3 different plans, basic, standard and escalating can be confusing, and this is a good session to try to get a clearer picture. If you have a good story to share about past patronage to the road show, do share it with us.